This is a fun ride – there are no winners or prizes for first place. Every child who completes their ride is a winner. 1.3km route: Parent/guardian must accompany their child on the route. One accompanying adult (Co-Pilot) is included in each entry fee. A fee of R50 will be charged for an additional Co-Pilot. A max of 2 Co-Pilots are permitted per child. The ride is open to anything on wheels including; prams, pushbikes, tricycles, small bicycles with training wheels and scooters. HELMETS ARE RECOMMENDED. STRICT ADHERENCE TO AGE CATEGORIES. ALL ACCOMPANYING ADULTS TO BE ON FOOT. 4km and 7km routes: One Co-Pilot is included in the entry fee. Not compulsory for a Co-Pilot to accompany the child on these routes. Only one Co-Pilot is permitted per child. All participants, including accompanying adults, must be on bicycles. NO HELMET, NO RIDE. Dress: All children are encouraged to dress up and bedazzle their ride (parents / guardians / family are welcome to dress up and bedazzle their rides too!). Parents / guardians should come prepared and wear flat, comfortable running shoes. Bring sun block.  2019 Cape Town Cycle Tour Junior entries are closed!